Beginning as a manga back in the early 80s, Fist of the North Star is basically Japanese Mad Max. As such it’s a perfect subject for the stylish sensibilities of the developers behind Sega’s Yakuza games. The game was announced earlier today during a live-stream event which showed off a trailer and story details for the game, Hokuto ga Gotoku, which is set to release sometime in 2018 in Japan. And as you can see, it’s 100% post-apocalyptic Yakuza. “Due to the hell fire of the final war, every living thing seemed to have been destroyed. However… humanity was not annihilated. 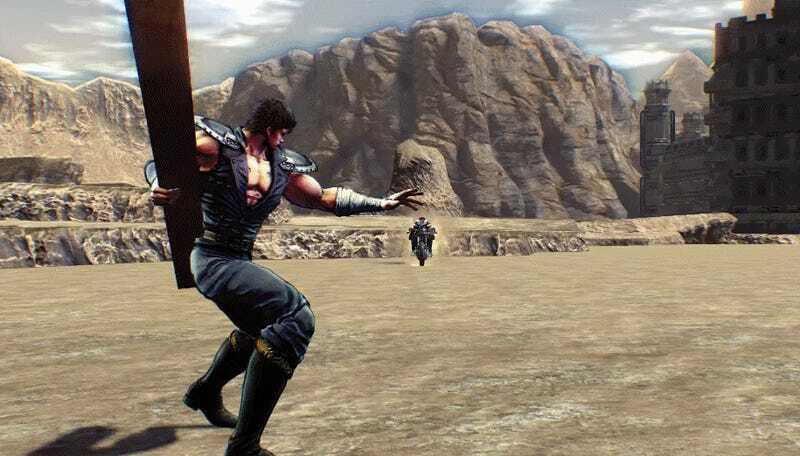 The game will track North Star protagonist Kenshiro’s journey as he attempts to infiltrate the city in search of his long lost fiancee, with all manner of bleak and violent shenanigans to ensue from there. Having been around for over three decades, North Star has seen its fair share of video game spin-offs and adaptations, with some being much better than others. But the series’ story and aesthetic, which follows humanity’s struggle to survive in the wake of a devastating nuclear war, seems perfectly suited to the look, feel, and gameplay of the Yakuza games. You can watch the entire reveal in the Sega stream VOD embedded below.